When a situation arises that may require special security services, our ESI Security Services Armed Guard Division can help. ESI armed officers are trained in the use of firearms and are fully belted. The armed officers carry a firearm, taser gun, expandable baton, flashlight, handcuffs, O.C. spray, and a cell phone. Our officers are fully trained and certified in the use of all the equipment they carry. We offer plain clothes officers for an inconspicuous presence or black class A dress uniforms that give an authoritative visual appearance. Our armed services can be employed for many uses from access control to personal protection. 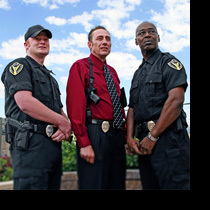 The ESI Security Services armed guard can provide you unique services to meet any need.